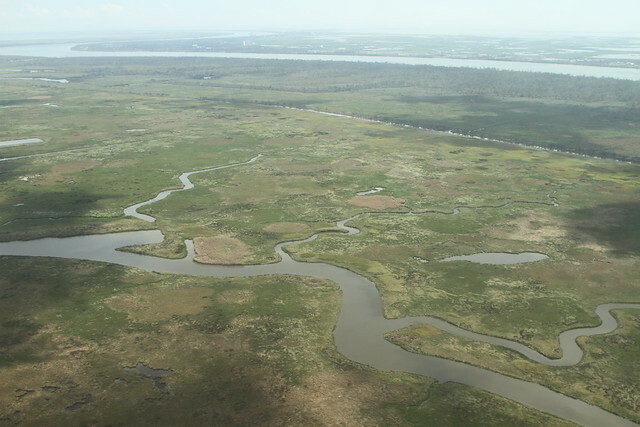 Will the Corps and the state of Louisiana starve the Delta at the whim of oil and gas? In 2011, a swollen Mississippi River re-connected itself with the marshes of Bohemia, without any help from the Corps--but it forgot to ask Shaw for a permit to restore our coast. After 2 years, the oil company that operates in this Wildlife Management Area, Sundown Energy LP, wants to fill in this new reach of the Mississippi with limestone and pipe culverts. Perhaps it would increase their margin, but it would destroy a new branch of the Mississippi River. Can we afford to allow our public officials to squander another opportunity to restore the river’s nourishing floodwaters into our delta? Tell our public officials to let the river free, to let it work for us, to let Sundown Energy consider alternatives to its fill road, and to let the public speak to this issue at a public hearing. Coastal residents have continually been forced into bad choices by the weak hand played by our public institutions. The Corps of Engineers has a predilection for the navigation industry, no matter how trifling the trickle of traffic. The Corps and The state of Louisiana can be relied upon to sell residents down the river, and into the Gulf, for the oil and gas industry. As sea level rises, the River is backing up. The River has bucked at Bohemia Wildlife Management Area, giving the residents of Louisiana the start of a $200 Mil. 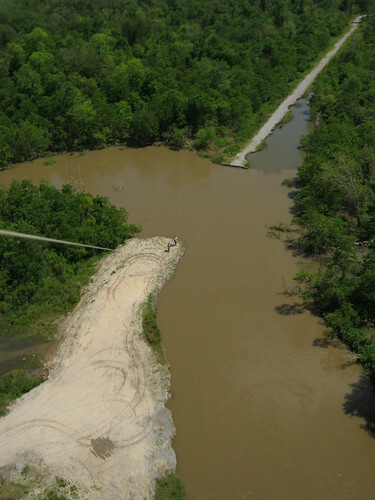 sediment diversion free of charge--not to mention an invaluable chance to study, in a natural experiment, the benefits of the Mighty Mississipp as it scours a new channel and deposits sediment unrestricted into a shallow bayside. It is this same situation that coastal scientists from the State and the Corps are desperately simulating, theorizing, and ultimately trying to replicate in order to complete the Myrtle Grove Sediment Diversion. The State has even planned a sediment diversion at this site for the 2012 Master Plan. But Sundown Energy wants oil from the Potash field. To deliver their precious cargo, they won’t use a barge; they won’t use a pipeline, nor a bridge. Out of short-sighted incompetence, they would fill the newborn Mardi Gras Pass, the newest distributary of the Mississippi River, named for the day in 2012 that the river channel broke through to the Bohemia Wildlife Management Area. Sundown Energy would fill this river pass (and the Corps and the state would let them), despite the fact that the road is actively washing away, has done so in the past, and that the channel from the river into Bohemia is very unstable, as the flow from the River incises a new channel into a crevasse. This type of culvert road is solid engineering--for a kludge. We’ve previously seen this cheap style of road choking bayous in the Atchafalaya Basin, leaching fill and rusted pipe beyond the permitted area at the first hint of a flood. This was a river: A New Orleans District “General Permit 13” Road blocking a braid of Bayou Brown. 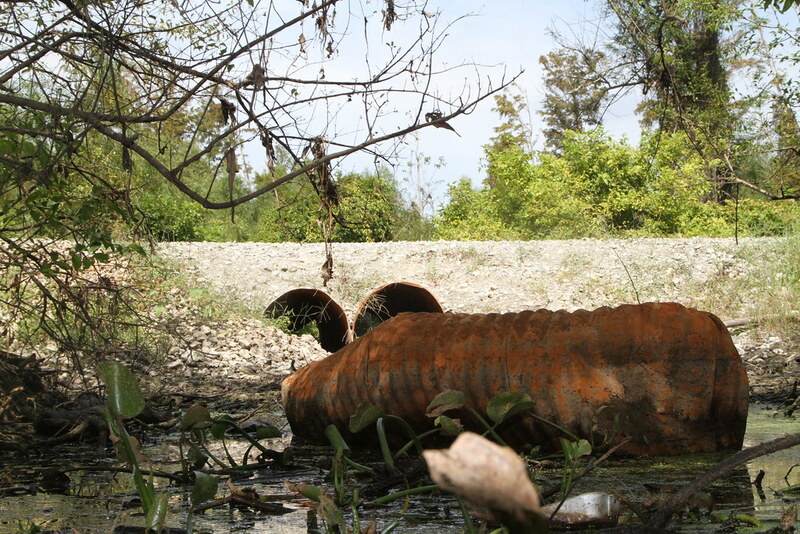 An older, flooded out culvert pipe has been left to pollute the bayou. 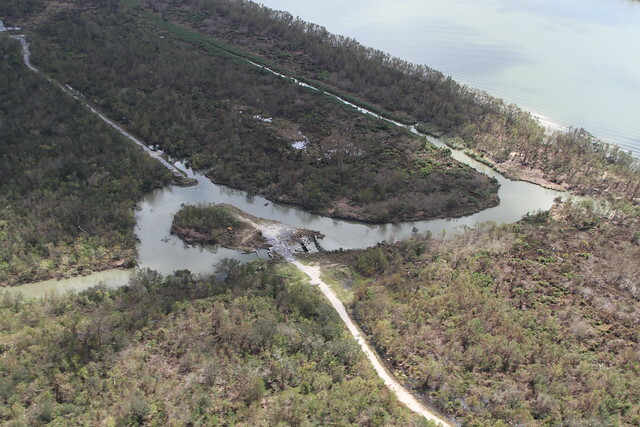 This Bayou was a former navigation channel for crawfishermen.Why should the coast suffer for Sundown Energy’s workaround project? If the company truly needs a road to deliver oil and gas--after all, it hasn’t had one in almost 2 years--Sundown Energy must provide an alternatives analysis providing why this river must be filled to transport oil. It is telling that the first permit application for the Sundown Energy road was for 6 feet of fill road, during a period when Mardi Gras Pass was actively cutting a channel more than 14 feet deep. The new design is the same game, only writ larger. The company is ignorant of the dynamics of the situation, ignorant of Louisiana’s need to put the river back to work, and ignorant of our need to learn from the river’s work. The Lake Pontchartrain Basin Foundation has been paying careful attention to this area of the Mississippi River Delta ever since Dr. John Lopez and co. noticed that the marshes of Bohemia Wildlife Management Area were resistant to the subsidence and erosion that plague most of the Lake Pontchartrain Basin and our coast as a whole. The healthy, strong marshes of Bohemia WMA are flooded by the river. The State of Louisiana, in its endorsement of the Master Plan, has banked on the River as the engine of restoration. The Coastal Protection Restoration Authority’s sharpest minds have devised a sediment diversion in this location. Why not save on the $200 million it will cost to break another hole in the levee downriver? Why, then, will they not take this unique opportunity to keep and to study the thing that they want to engineer in the place they want to engineer it? Why will they not ask Sundown Energy to examine alternatives to this road? Click here to send your message, to let the River build, to let coastal scientists study the River’s work, and to let Sundown Energy do right by Louisiana and provide an alternatives analysis for its oil transport project.